I spent the entire third day of Advent in two different doctor’s offices with one of my kids. The timing seemed so strange: I’ve been thinking about loss lately, and suffering, and the strange miracles that accompany it. In it, she writes about family friends whose two-year-old was diagnosed with Cystic Fibrosis. A CF diagnosis is a catastrophe. It’s horrible and cruel, and you wouldn’t wish it on anyone. But Lamott watched as this couple’s friends and family showed up—with breakfasts and dinners and massages and childcare and just the gift of being present—day by day. I get what she’s saying. My family never experienced the catastrophe that is a CF diagnosis, but there was a time when we got our own dusty-red-wagon miracle. My kid is fine now: it’s almost hard to remember that there was a time many years ago when their little life was hanging in the balance—when we didn’t yet know how things would shake out. We were terrified. Just terrified. I wouldn’t wish that experience on anyone. Except for this: we got a miracle, the same kind of metaphorical Amish barn-raising Lamott described. People showed up and carried us along in ways we never expected—big and small, ephemeral and practical—at a time when we couldn’t carry ourselves. It wasn’t quite the miracle we would have chosen, but it was a miracle. I wouldn’t wish it on anyone—and yet. I wish everyone could experience that point of view, if only for a few hours, for a few minutes, even. As a book lover, I believe in the fictional kind of miracle, and fiction’s power to open our eyes to the miracles unfolding around us. I just finished a really great book called The Life Intended. (It comes out on December 30, and I can’t wait for you to read it so we can talk about it.) The story begins in tragedy: in the very first sentence, the reader learns that Kate lost her husband in a tragic accident. But in a plot I wouldn’t dare attempt to describe to you, Kate is able to get a glimpse of what her life becomes because of that loss—and it’s not all sorrow and heartbreak. When someone brushes up against—or crashes right into—tragedy, they can’t stay the same. They don’t take things for granted. They notice the beauty in everyday things. They dig deep to find their calling. They have to. I’m not a black-and-white thinker; I’m comfortable with mystery and ambiguity. This season has both in spades. Advent’s now-and-not-yet, in-the-meantime-ness appeals to me. Even if you’re not spiritual, there’s plenty of mystery in this season, as the crazy-making of holiday prep co-mingles with peace and goodwill and family togetherness. In church on Sunday—the first Sunday of Advent, before I knew I’d be praying my guts out in a doctor’s office on Tuesday—our pastor gave us a challenge for the coming weeks: that we might be attentive to the vulnerability and need of those around us in the coming weeks, and to be more honest and open about our own needs, that we might receive the care of others. This morning I sat in the waiting room thinking about scary medical stuff and the road we walked once before, of the last time I heard scary words in a medical office, wondering if we might be headed down that road again, (heaven help us). I was surprised to catch myself taking stock: I was acutely attentive to my own vulnerability, to my daughter’s needs, to my own, to my family’s. I was scanning my mental contacts list: who might I need to show up for us; did we need dinner, or child care, or a listening ear, or a shoulder to cry on? What did we need from others? It was a long day. But at the end of it I have a healthy kid (knock on wood; we’re still waiting for a few test results), and a renewed appreciation for the grace that is this life I lead, and the mercy that is healthy children, and the joy that can only be tasted in scary vulnerability. But here, right at the beginning of Advent, I’m almost—almost—grateful for the reminder, of the now-and-not-yet, of the in-the-meantime-ness. Of the very real, very tangible call to be attentive to my own needs, and to the vulnerability and need of those around me. Previous: 13+ perfect stocking stuffers for book lovers. 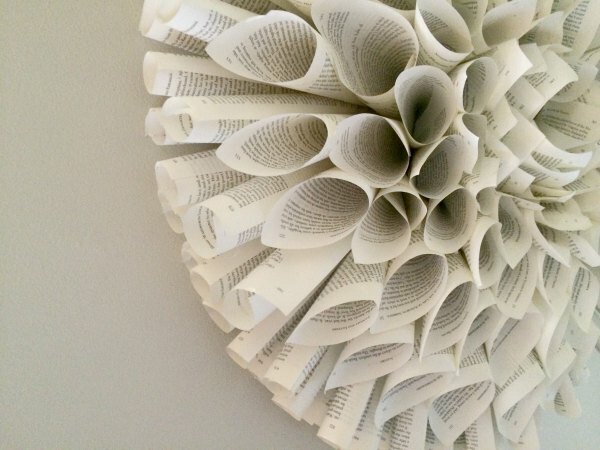 Next:How to make a book page wreath, and more book art ideas. Beautiful. I’m glad your daughter is okay. This is why I love the liturgical calendar: we have the space and focus certain times of the year really to dive deep into particular emotions and truths about our existence and relationship with God while still knowing that it all transcends any one season. Aren’t we always, after all, trying to hold both together–human time and God’s time? We just started following the liturgical calendar the past few years, and I’m finding my whole experience as a Christian deepened. I’ve also started reading the Bible roughly following the church calendar and as we’re reading through the stories of the Old Testament I find myself longing to read about Jesus like I never thought possible. And to think that this feeling of longing we glimpse during Advent is what believers before Christ experienced their whole life! My son was in the NICU for ten weeks after birth, and that happened to coincide with the whole holiday season, so I get nostalgic about these same things this time of year. I’m going to have to read Small Victories now. Yowzers, that must have been so hard. It’s so strange to me what things bring back such sweet and tender memories of our time in serious medical care. Can’t wait to read those books. I love that idea of asking myself who I can show up for but also how can I be vulnerable to let people show up for me. Thankful for your good news – praying your child continues to be healthy. Just lovely, Anne. What gracefulness in your writing. I’m so glad she’s okay! I am learning that it’s more than OK to experience happy desperation for Someone to show up in my life–not with hopelessness, but confidence–in both the quiet times and the seasons with all the choppy waves. So glad to hear that your waves are calm again. “happy desperation”—that’s a good way to put it, Hannah. Hoping the remaining test results come back as desired. Hugs and Blessings to all of you. Yes. It can be so hard to ask for help and let other people show up for you, but I keep learning that it’s important. Wonderful writing, capturing some great insights. I love Anne Lamott. I had a son, who died at the age of 9 of CF. (Many years ago). As difficult and tragic as it is to lose a child, I learned early about true joy, friendship, family and community. I also learned that God will provide things you need when you think you can’t go on. I live with a confidence that I can get through what I must which gives me a sense of peace. I haven’t read Small Victories but fortunately I live within walking distance of a book store. :). Sarah, I’m so sorry for your loss. Thanks for sharing your experience and your perspective here. A beautiful message, Anne. We experienced something akin to that last week which made Thanksgiving so much sweeter and full of thanks. My mom has pulmonary fibrosis and became very ill, quite quickly with an inflammation in her lungs, the Saturday before Thanksgiving. She kept getting worse and Sunday morning the doctor told my husband we needed to make sure her affairs were in order. I set my prayer network of friends in motion. By Tuesday my mom was asking for her lipstick. This was the sign I needed… she is known for never being without her red lipstick! She was able to leave the hospital on Thanksgiving Eve and we had a small, quiet but oh so grateful Thanksgiving Day. Isn’t it funny how we know our loved ones have turned a corner in their recovery. So sorry for your scare, and so glad your mom is on the mend. Thank you so much for this post. Both my niece and nephew (2 1/2 years old and 3 months old) have CF, and I wasn’t aware of “Small Victories.” I’m putting it in my Amazon cart right now. So many people greet my family with “Ohhhhh…so sad” faces when we mention Madelyn and Derek, and they are AMAZING children. We’re so blessed to have them in our lives, and the people that – like you said – show UP make all the difference. I’ll be praying for your daughter. And also – girl. I LOVE THIS BLOG. LOVE this perspective, Amanda. Thanks so much for sharing. We all need this reminder, Anne, so thanks for reminding us! I’m so glad your daughter is mostly ok. It’s so terrifying to go through that, especially with our children. My husband has broken several bones in the past five years (femur, elbow, pelvis) and I’m very grateful that our communities showed up in ways big and small. It’s a spiritual challenge to be the one who needs to receive help, it’s so much more fun to be the one providing help. Providing help makes us feel useful and generous and good about ourselves. Asking for help makes us feel humble and needy and a little broken. But, as my family learned during these times, it can be a gift, terrible but true, to be that broken and be able to receive that much love. Femur, elbow, pelvis?! Oh my goodness, that’s too much! So glad your communities were there to get you through. Bless you. Just two weeks ago I spent four days in the hospital praying for my sons’ life, as he struggled to breathe, with quadruple (is that a thing?) pneumonia. He’s fine now, but my goodness. I get what you are going through. Praying for happy results for the tests. Also thankful for the barn raising of love and support in our community. Oh my goodness, I’m so glad he’s okay. What a difference two weeks can make. This is beautifully written. I am fairly new to your blog, and it has quickly become one of my very favorites. I teach Children’s Literature, so I share your love of books and reading. But thank you for sharing more of your life today. Your writing has blessed me, and, I’m sure, many others. This resonated deeply with me. I too think that miracles can take the form of friends surrounding you. Glad you have that community support. I wrote about our friends stepping in for us when we had nothing left yesterday: http://www.planbeautiful.com/courage-for-our-friends/. Glad to have found your blog! As I’m typing this, the weather is rainy and cold. Our state can’t seem to make up its mind which temperature to keep. We have had twenty degree climbs and will all week. This causes havoc on my neuropathic feet (a gift left behind by successful chemo). I can barely walk, and the pain is so great I can only lay on my couch, without the attention to devote to my 13 dozen cookies I’m supposed to bake, or the clarity to read. I’ve been putting unnecessary guilt to finish things, even though I know when I get let this I need to remember to just “be”. I’m so sorry to hear about your scare, and pray that all will be well and the worst worry we all have is minute. Thank you for your sharing your story and for the reminder that the best presents and gift cannot be bought and do not have a price tag. Take care of yourself and your family. Kim, I appreciate that so much. Thank you. Wish I could come help you with those cookies. this was such a great post… so good to be reminded to watch those around me and to ask for help… this is so hard for me. so glad things are ok.
“The joy that can only be tasted in scary vulnerability.” I love that line. Thanks for sharing here, Anne; hoping that the coming test results are encouraging and (but?) that you find strength and hope no matter what happens. Thank you for this post. 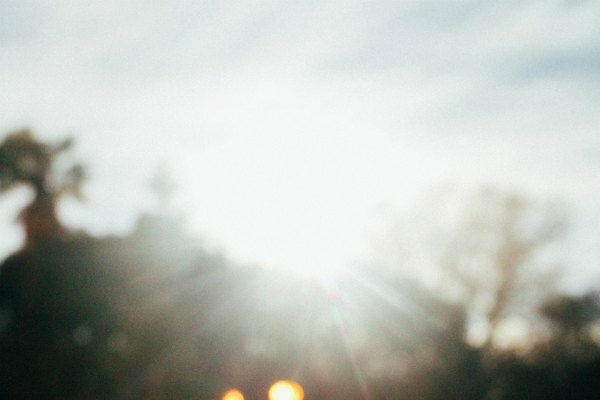 I have found more meaning and hope in Advent since my son died two years ago. After being the recipient of so much kindness and meeting so many beautiful people as a result, I have come to view it/them as gifts from my son. They are gifts I would give up in a heartbeat to have him back, but gifts nonetheless. I hope you continue to get good news about your daughter. That’s beautiful. I’m so sorry for your loss. My church community is in deep mourning this Advent. These words are grace-filled, hope-filled, beautiful. Thank you. This is so beautifully written and is MY LIFE RIGHT NOW! I could cry and I have the urge to… Because I am going through my own health stuff — was hospitalized for nearly two weeks — and yet my life is so beautiful right now in a way that I never would have expected. The gratitude, the finally SEEING my life, myself, and experiencing the wonder of waking up… Of being — for even moment — ableto experience a fraction of this complex universe as it was meant… And all because of something so seemingly negative and tragic as disease. I so get this. That said, best wishes for you and your family as you navigate this… It’ll all be okay but still, in those uncertain in-betweens, it tests one’s faith (or strengthens it) to believe that. Also thanks for the book recommendations too! Anne, your words here are so beautiful and resonate with me in so many levels. My sister died of CF so I know that walk well. I’m also praying and in that waiting time for a miracle for my child, too (not.CF related). I’m not sure there is a pain more agonizing for a mother than watching her child suffer or facing the fear of losing your child. I celebrate and praise God with that your daughter is healthy. Hi Anne – this is a beautiful post and reminder of just how fragile we all are. I hope the test results all come back with perfect numbers. I read the book you mentioned, The Life Intended by Kristin Harmel several years ago. I recognized it from your description and checked my library (aside – the Libib app is fantastic!) and it is the same book. The copy I have is from 2014. Perhaps it is just being rereleased? Apologies if someone else has mentioned this as I was not able to load and read all the earlier comments.